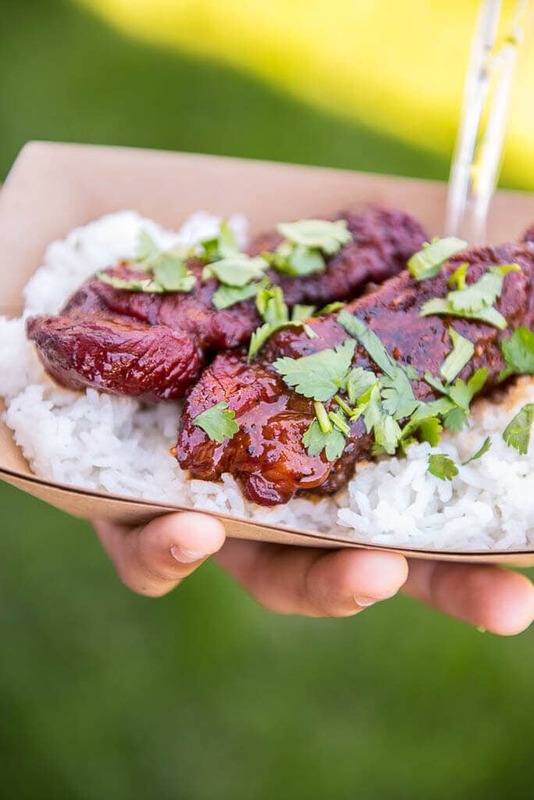 These Blueberry Chipotle Smoked Ribs are the most flavorful ribs you will eat all summer! Perfect for a BBQ party or a family dinner with a sweet spicy kick of flavor for these boneless beef ribs. I don’t make ribs often enough! They are my son’s favorite meal, for one thing, which means I should be cooking them up much more often! Not to mention how easy they really are. Even the toughest cuts like back ribs come out super tender in the slow cooker or from the smoker. And the flavor options? Practically endless. That’s why these Blueberry Chipotle Smoke Ribs will go on the menu again and again! This is just a spin off the meatballs I made a long while back (that actually all started with the best hamburgers ever-I need to share that one with you too!). With a few basic ingredients and flavor combos you can make so many different meals! Just find some of your favorites! I’m totally hooked on the whole fruit and BBQ thing right now. Sweet + spicy = the best flavor combo ever! I’m know I’m going to make these again but next time I might try short ribs. These were so delicious! 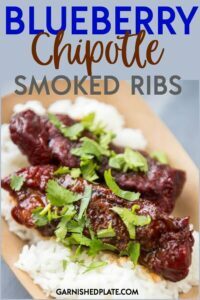 The first time I made them I used back ribs but they have so little meat that it was a lot of work to eat and we just kept wanting more! Using boneless ribs was the perfect option! We may just have to declare this the summer of ribs at our house. Try out every crazy flavor combo we can think of. And the best part? I can make enough for the whole family at home for probably less than what I’d pay for just my son’s plate at our favorite restaurant. The perfect, cook all day, summer meal! 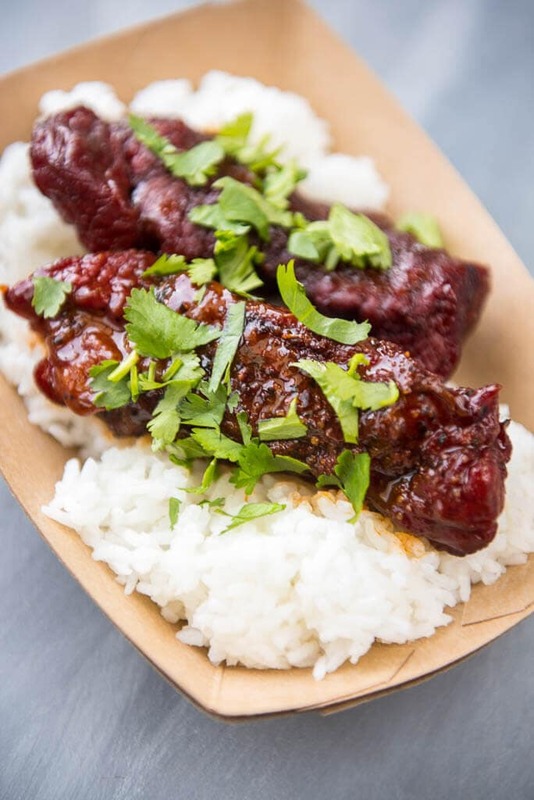 Serve these Blueberry Chipotle Smoked Ribs with…. 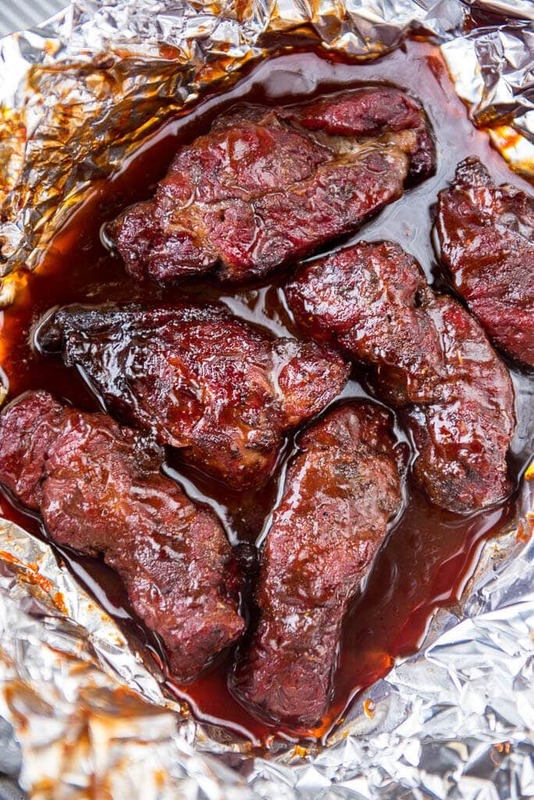 How long do you grill ribs in foil? low and slow is the way to go there for tender juicy meat! Slow cookers for some reason seem so wintry to me, but this recipe just screams summer! And looks amazing of course! Such an interesting combination of ingredients, but sweet & spicy are always so yummy. So amazing! BBQ Ribs are my absolute favorite meat choice. I enjoy blueberries, too. The combination sounds delicious. I love spicing marinades up with adobo. This sauce looks absolutely scrumptious!